A funding request in the Obama Administration Proposed Budget for 2014, Mission: Readiness is a private, nonprofit organization, with a board and staff associated with the Department of Defense, proposing a child welfare program with four year old, pre-kindergarden children in target schools. The sponsors of Mission: Readiness claim that, currently, a large percentage of youth of military recruitment age are not able to enter military service due to applicants not meeting the physical fitness and educational requirements of the military service branches. Mission: Readiness sponsors also claim that this situation constitutes a national security problem for the United States. The non governmental, program seeks to influence policy makers and the public to adopt measures that the military projects could positively effect the outcomes for two million American youth as they reach the age of high school graduation. The claimed goal is to raise the potential of "youth at risk" to accomplish their general educational requirements, reduce youth obesity, and to create a budget surplus based on offsetting the negative costs of youth who are repeating classes and costs associated to prison. The implied goal is to ensure the continued development of available military forces into the future targeting low-income and youth at risk. 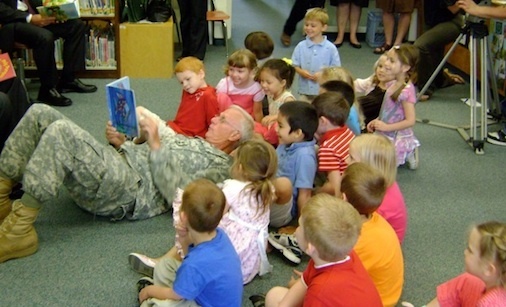 There should be a concern that Mission: Readiness contributes to militarism by influencing the public to think that military readiness should be the primary justification for education and healthy young bodies. New data from the 2016 Citizen-Readiness Index shows that the majority of young Americans aren’t citizen ready—unprepared for the workforce, unqualified for military service, or involved in crime. A child’s odds of being a well-adjusted young child, a successful student, and a crime-free, educated, and employed young adult are affected by the quality of support and mentoring that he or she receives at home and in school. This infographic shows two paths that the life of a hypothetical at-risk child can take with and without these critical supports. To be a well adjusted young adult includes their readiness for military service? Says who? The military?